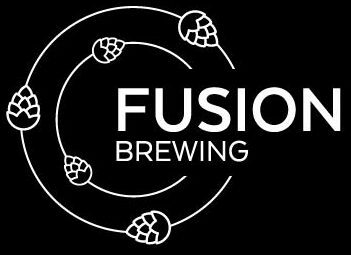 A major goal of Fusion Brewing is to give their patrons value for their money. The brewery operates at the highest standards and maintains a clean environment. Fusion Brewing strives to provide excellent customer service. The brewery is relaxed, comfortable, and has a fun atmosphere. The brewery provides an environment where customers can network with each other in a relaxed and comfortable environment whilst enjoying their brewed beer. In we support a strong family friendly environment where the local community and families are always welcome. Finally, but certainly not least, we provide the locals and travelers alike with access to high quality craft beer in an format that is welcoming to all types of patrons. One hallmark of the brewery will be our Regional Recipe competitions. The Regional Recipe competition will allow patrons to submit ideas or ingredients for a beer that they think would lend well to a craft brew. As part of the monthly competition, patrons will be asked to vote on their favorite monthly concepts. At the end of the month the winning ingredients will be used to brew a small batch that will be available for sale. Those concepts that sell well, have the potential to become regular beers that are part of the regular line-up. The concept of Regional Recipes brings the local patron into the brewery and allows for the FUSION of community with the brewery and brewing process. Fusion Brewing is co-owned by Dr. Christian Paumi, head brewer, fermentation microbiologist, husband, and dad. Through his various experiences of life, beer, and food, he brings high quality craft beer to the Lexington community in a new, innovative, and exciting way. To read more about Dr. Paumi and “The Team”, see Below. Dr. Chris Paumi has a number of years’ experience in the brewing industry both as a professor of Fermentation Science at Eastern Kentucky University and as intern in the local Lexington Craft Brewery community. Chris brings not only a wealth of bear knowledge, but a deep appreciation for bringing complex flavors from simple traditional beers. He fuses unique flavors into his brews through the mindful manipulation of the four basic beer elements, water, grain, hops, and yeast. With a true passion for “wild yeast” and sour beers, Chris has spent countless hours familiarizing himself with the characteristics a yeast that can be used to create new and exciting beer. Through the fusion of local and international ingredients and science experimentation he has created a palette of fun, new, and exciting beers. In his free time he loves to run, have hugs with his dogs, hike and spend quality time with his wife and kids. Peyton Nau has been in the Lexington hospitality industry for over a decade and has managed several successful restaurants. Watching the craft beer industry grow has been a driving force in the direction of his career. After getting his Cicerone Certification and spending lots of time trying every style he could get his hands on , he decided it was time to pursue his dream of getting into the craft beer industry. After meeting Dr. Chris Paumi, watching his vision develop and tasting his product he knew he’d found his calling. Being a Lexington local (. . .for most of his life) there is no better job than bringing Fusion Brewing and the community together.